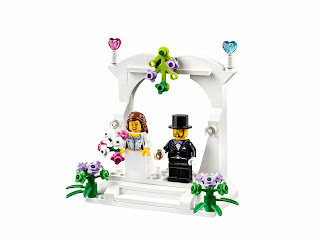 come with a wedding favor set. 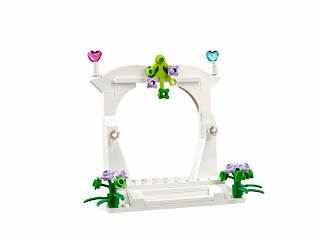 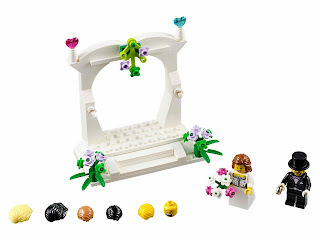 the set has a bouquet, a golden ring, a wedding arch with flower and heart. 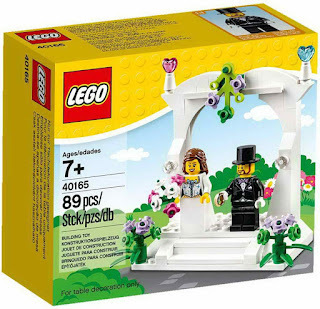 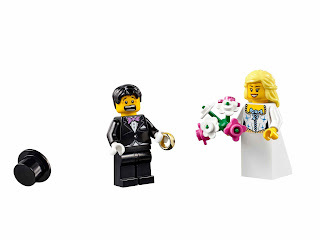 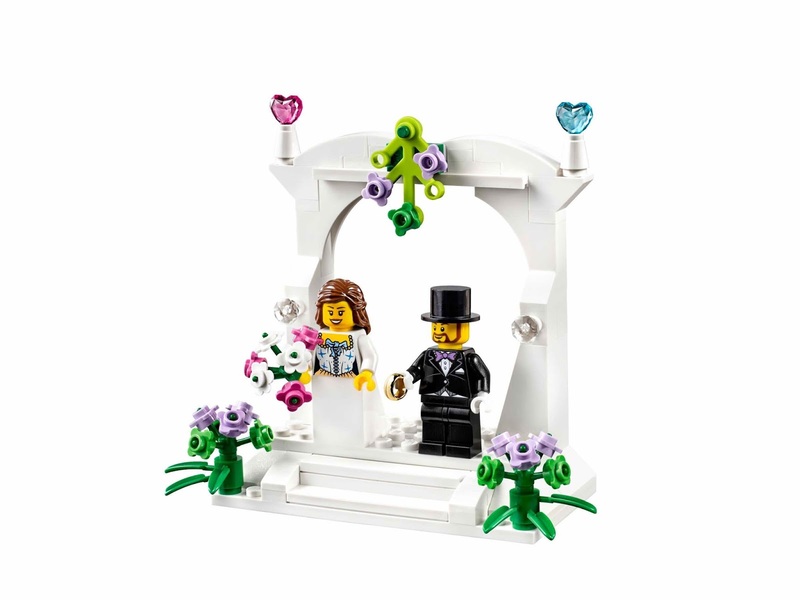 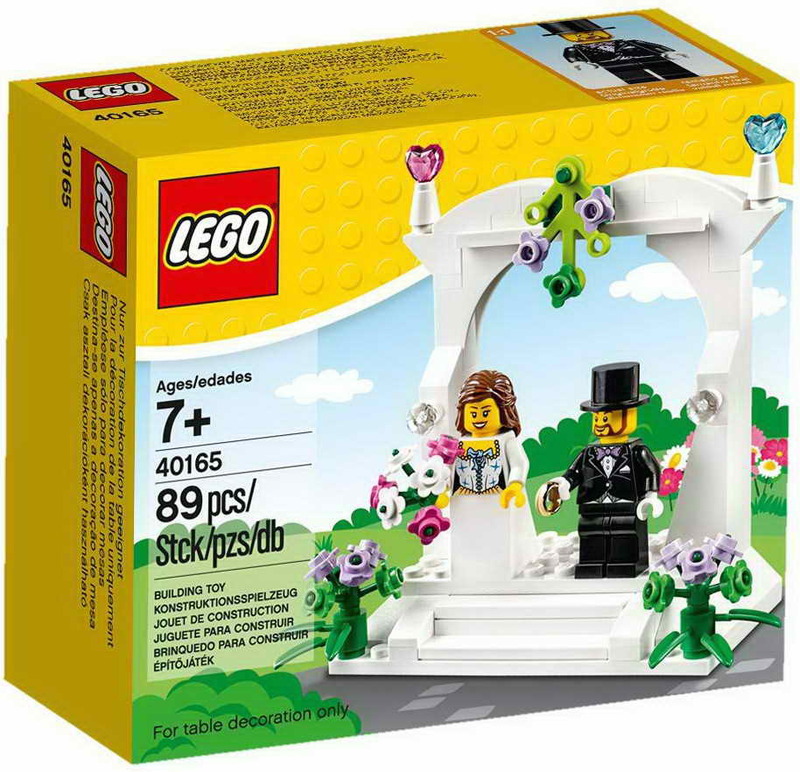 minifigs included a groom minifig and a bride minifig.